I have been researching Rolls-Royce engines for decades. I have studied the engine’s “workshop manuals”. I visited the Rolls-Royce production and engineering facilities in Derby, UK just two weeks before my QF32 event. 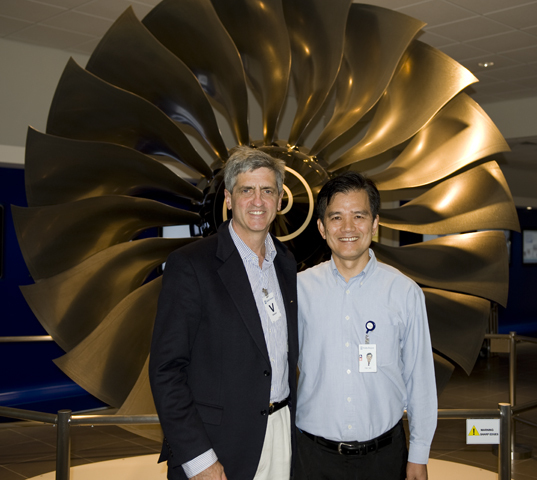 Yesterday I toured the Sin$700 m Rolls-Royce Seletar Campus in Singapore. This is the first production facility for Rolls-Royce outside the UK and it is an amazing high tech resource for Asia-Pacific aviation. The first Trent 900 fan blades are now amassing at the end of an 80 process production line, ready to be assembled into Seletar’s first Trent 900 engine that should be finished within a month. I spent another seven hours quizzing the scientists and engineers about every aspect of the design, construction, testing and operation of the Trent 900 engine that we see on the A380. I think I now know this extraordinary and remarkable engine pretty well. I intend now to write a report about the Trent 900 engine. This will be for pilots and interested persons who want to get deep into engine design and operation. 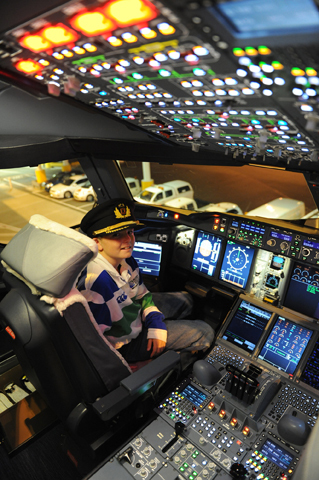 Please send me your Jet Engine, Rolls-Royce, Trent 900 and A380 Engine questions. I’ll use your responses to guide the topics in my report. Rusty Corner won a Rolls-Royce lapel pin on a recent flight. His comments are below. With a guess of 870hp/blade I was 30hp off the correct 900hp & won the RR pin! A little more engine/aeroplane/navy ship talk & I was invited up to the cockpit upon arrival. I think you will find that there were a few instances of fan shaft failures in the RB211-522 &/or -524 series engines. It was caused by overheating oil in the N1 bearing housing, causing the bearings to skid and subsequently fail. It kept us engineers very busy as the slightest metal flake on the mag plug was usually cause for an engine change. I think the worst incident was in a Lockeed Tristar when the number 2 engine fan broke loose and tried to climb up the “S” shaped intake duct. Parts entered the rear galley, which I’m sure gave the cabin crew a surprise! I was wondering if you are aware of the Air France A380 uncontained engine failure that happened a day ago over Canada. The pictures show damage that looks just as bad as QF32. What are your initial thoughts? The entire N1 fan is gone! On a separate note, thanks for your book, your website, and the numerous interviews online. They have done a lot for a fledgling aviator like me. The AF uncontained engine failure was most unusual. It appears the N1 (low pressure compressor) shaft failed, causing the fan hub (complete with 24 swept wide chord hollow titanium fan blades) to detach from the engine. I am guessing the fan took out part of the nacelle, and the remainder of the nacelle was blown away when its integrity was compromised. 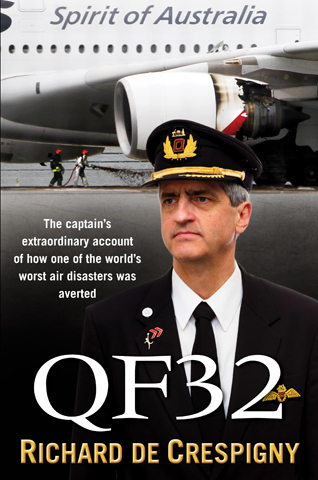 In my book “QF32” I wrote about sitting fifteen feet from a B767 engine when one turbine blade blasted through the nacelle and fortunately missed me. I can think of another instance about forty years ago when fan detached from a 747 jumbo jet engine. Luckily in all these cases, no one was hurt. It appears the Air France crew and company handled the emergency very well. Congratulations to all. I believe the failure happened in the cruise at 37,000 feet altitude. Notice how small (less than 17 percent of maximum thrust) the thrust was on the engine when the shaft sheared! It is indeed fortunate the shaft did not shear during takeoff. So the VMU should have plenty of vibration information that will aid engineers when they determine the failure path. I am sure the investigation will look into the cause for the N1 shaft shearing, then make changes to prevent a reoccurrence. This is how aviation works, and the astonishing low accident rate is proof that these practices work. Thanks for your very detailed and well-thought-out response. The lengths you go to to share your passion and knowledge have been greatly inspiring. There seems to have been a spike in uncontained engine failures and engine fires in the past couple years! Three on the 777 (BA 2276, SQ 368, KE2708), and AA 383 (767) and WN 3472 (737). One of my friends is an engineer at Pratt and Whitney and he told me that tale you referenced about the 747 as well. Good questions. Most of these answers will be provided in my Big Jets book. Nev: How do I get it? When will the Big Jets book be ready? Hi Rex, Thanks for the kind words and suggestions. I will put a few paras about the contra-rotating shafts into the Big Jets book. The paras will use the term “impulse” – if that helps frame the response. Thanks again for your feedback. ALL of it is welcome! Thank you so much again for taking to time to sign my copy of your book. I’m sure you might be aware that Melbourne based company LTQ Engineering, the last major engine maintenance and overhaul facility in Australia, ceased operations in September 2012 ‘owing to the strong decline in engine overhaul demand’. What a great loss to Australia’s aviation industry that this Lufthansa Technik/Qantas joint venture is now gone. The QF32 incident certainly highlighted the importance of not only engine design and engineering, but also the huge continual investment in maintenance. I know that technology continues to improve, new materials are invented and refined, but I would be very interested in hearing your opinion in this area and/or the maintenance demands RR places on its Trent 900 engines. I just can’t wait to get my own copy of your next book! Very best wishes and safe flying! Hello Richard I have long followed the workings of the big fan engines through Flight International’s cutaways. 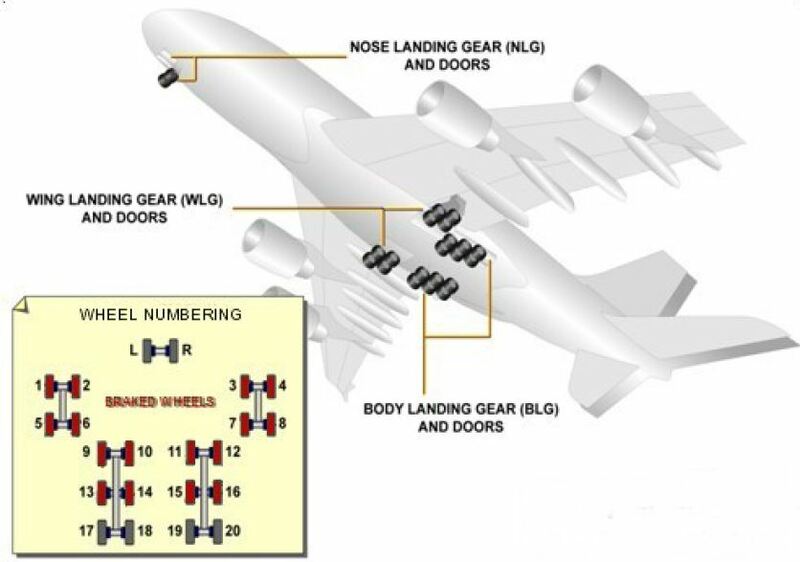 I can understand the logic behind the thrust bearing layout for the two spool engines as put out by GE and PW, but failed to understand the philosophy for the RB211-524G. As I understand it the thrust bearings are positioned at the front of each spool, but this does not seem to be the case for three spool architecture. If your impending report on the Trent 900 has an explanation for this I would be most interested in this particular aspect. I believe the big fan engines are the most marvellous pieces of concentric engineering on this planet and I would love to see how one of these is put together from the inside out. Without them aviation as we know it would not exist. I look forward to your report and the Big Jets book. I would think that in today’s “eco-age” there would be interest in the question of environmental friendliness. In the context of how today’s generation of big engines like the Trent compare with the old smoky engines like the JT-3’s on the early 707’s. and the even older radial predeccessors. And oil life, given the higher operating temperatures. Concerning bird strikes with any jet airplane, I’d like to know what would be the outcome if a a large bird, e.g. goose, gets ingested. Will it break turbine compressor blades? If the goose-strike causes damage, will all bird strikes do so, or is there a minimum body size that is not likely to result in engine damage?